Shenzhen International Poster Festival is a commonweal propaganda cultural project sponsored by Shenzhen Futian District Government. Established in 2015, it is a large-scale poster design campaign in Shenzhen towards the global, commits to being an influential and professional design festival in China. The 2nd Shenzhen International Poster Festival will be held in Dec. 2016 at national museum—Shenzhen Guan Shanyue Art museum. Then will be held every two years from 2016. The 2nd SIPF collects the latest design achievement from global top designers and new emerging talents, encourages design subversion and innovation. With the goal to “design change future”, the competition will directly reflect interaction and application of the current poster design in the cultural, social, commercial, and new media areas, contributes in providing a practical platform for poster design, cross design in China future, and promoting the international exchange between design field and education institutes. The jury panel of 5 distinguished international graphic designers from global will select the awards in 4 categories of professionals and students according to international practice. Awarded winner will be eligible to receive bonus provided by the committee. All the winning and shortlisted entries will be displayed at the Shenzhen Guan Shanyue Art Museum in Dec. During the exhibition, a series of academic lectures and seminars will be held, as an extension of the academic achievements of the exhibition. Designers from all over the world are Welcome in 2016SIPF. All the entry works be able to be submitted by person or the company participated in creating and making. Any works that is involved by any member of jury panel is not eligible. Undergraduate, graduate and above of art and design school are all in. Posters should be created on “Life” thematically. Student’s works will be assessed separately, the standard and judgment committee are same to the professionals. All the shortlisted works will be on-site assessed and selected by the jury panel of 5 international outstanding designers. The jury panel will grant Grand Prix，Gold, Silver and Bronze award to the winner. All the awarded and selected works will exhibit in SIPF2016 exhibition and published in the Collection of the 2nd Shenzhen International Poster Festival. Each of the participants for the exhibition will receive a certificate from the committee. The Jury Panel will pick only one Grand Prix from all nomination awards of Professionals with standard on high-impact creation and innovation. List of selected works will be pronounced on We chat or official website and co-ordinated media. The winner will be pronounced and granted award in SIPF2016 Award Ceremony. □ All the entry work must be the works published and announced by any of the country from Oct. 2013 to Oct.2016. All posters must be printed works of offset, silk-screen or digital. Ink-jet or hand drawing works are not qualified. □ Size of works: no smaller than 36.4cm x 51.5cm and no larger than 120.0cm x 180.0cm. □ The entry form should be signed by the participant, enclosed in an envelope together with the posters. An illegible entry form will cause disqualification of the entry. 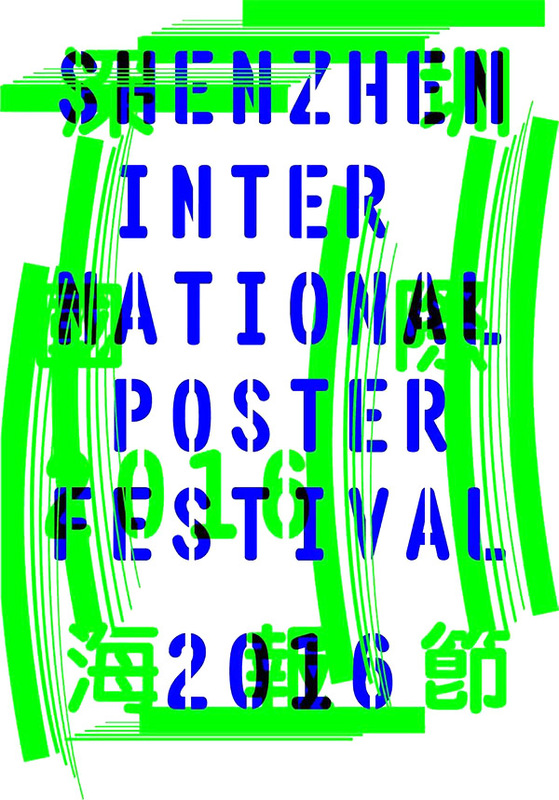 Information submitted on the entry form will be used in the 2nd Shenzhen international poster festival 2016. □ The number of submitted works is no more than 5 posters. One series work will be counted as one. □ Please submit each poster for 2 copies, mounting is not required. The works should be packed in a safe and practical manner to avoid any damage during transport. The organizers do not take responsibility for any damages of works in transport. □ Please label the package “PRINTED MATTER, NO COMMERCIAL VALUE”. Please do not include the price of your submission on the postal declaration or invoice. The organizers will not undertake any customs clearance. □ All posters will not be returned. Postage and all other incidental expenses are to be defrayed by participants. □ All posters selected for the competition exhibition will become the property of organizer .The organizer has the right to exhibit, collect, publish, photography and reprint the posters for publicity and promotion. □ The author guarantees that the submitted and the exhibition works do not breach intellectual property rights of any third person. The organizer will not be held liable for any breach of proprietary rights. 6026, Hongli Road, Futian District. Shenzhen City. China.